Rated 3 out of 5 by Mike from Inadequate Instructions Now that they are working properly I really like the switches. However the directions did not cover my installation and I had to use trial and error until I figured it out. The one switch hooked up per the instructions and worked fine. The other one had the hot wire on the 3 way side which was not in the diagram. I finally realized I needed to split the circuit and put the hot on the black terminal, it just would have been nice to know that from the start. Rated 3 out of 5 by Charles from CAN'T GET IT WORKING I'm having the same experience as Mike, below, but my switches are still not working properly and I've wasted hours trying to get them to. The directions do not cover my installation. I've been using trial and error and still haven't figured it out! The one switch seems to be hooked up per the instructions and works fine. I, too, realized the need to split the circuit. It would been nice to have better instructions. 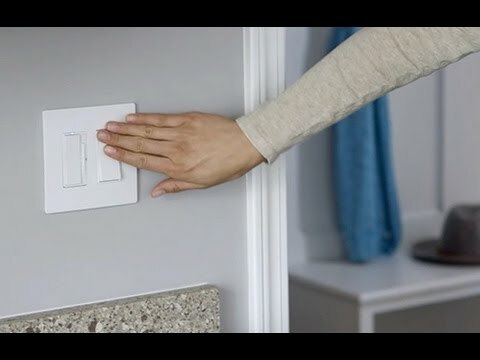 The switch will only operate one 3 way and 2 single pole. My wife and I are building a house and will be putting the radiant series in it. We have already purchased all of what we need except this one. We need it in nickel finish. Is that available? 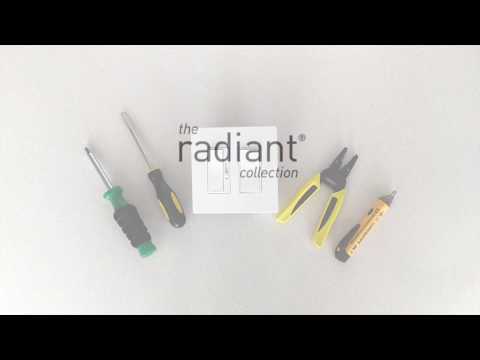 Thank you for your question regarding the Radiant Decora Combination switch(Model # RCD113). This switch is currently available in the following colors, Brown, Black, Ivory, Light Almond, and White. Thank you for your question regarding Legrand Radiant combination switches(RCD113BK). We currently do not have the 3 switch combination in the Metallic colors(Nickel and Dark Bronze). They are available in Brown, Black, Ivory, Light Almond, and White.